"If clients are interested, they will get back to you when the time is right." "Don't write proposals, write invitations." "Grow your coaching practice without ever selling to one client..."
Although I'm not denying that some coaches have succeeded this way, but let's face it, when you graduate as a coach, the world is not actually running to your door to buy your programmes or 1-to-1 coaching. In fact, the opposite is happening. During your studies, you may have learned that coaching is a growing market and more and more people are opening up to the possibility of getting coached, be it for their own personal purposes to achieve life goals and ambitions or for business purposes. But what about experience? Say, you want to become a business coach, which industries are you going to target? What experiences do you have in those industries? You may have heard that as a coach you don't need industry-specific experiences, you don't need to know anything about your clients business. 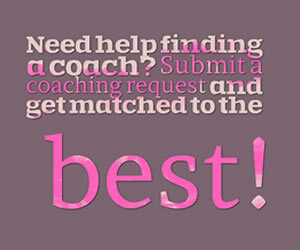 Actually, most businesses and sports clubs are looking for coaches with experience in the industry. Now, I'm not denying that having no experience in a certain field can be an advantage, but let's be honest here, you will be facing on a daily basis the art of classic REJECTION because you don't have the experience, you don't know how to handle the objection or simply said you don't know how to sell it. Fact is, that anybody who is willing to pay for coaching - no matter how big or small your fees are - will ask this question. They want to know what your experience is within the industry and how you intend to help them. This is because they feel that the only way you can relate to them is if you went through a similar experience. If you can't address those questions, you will be out the door faster than you can say "Coaching..."
So, why is it that so many coaches, especially the famous ones, will tell you not to sell your services, but let clients get back to you when they are ready. Don't we all need a push every now and then? 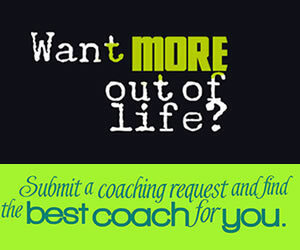 Imagine you are currently coaching a client, what do you do? How do you challenge him/her to do the tasks that they need to do in order to achieve or create a better life for them or grow their business? You push them, right? You push them so far out of their comfort zone that if you weren't there to hold their hands (metaphorically speaking), they would jump out the window never to be seen again. So, why do so many coaches have a problem to push a client during the "sales phase?" Think about that for a moment. Selling is pushing people constantly out of their comfort zone. Not only helps this the seller to make a living, but the customer may need a push as well. We all come across the indecisive one... the client who can't make a proper decision of what to buy, where to buy, when to buy etc. If you start pushing a little bit, provide limited time offers, even telling your client that yes, you could wait, but what good will it do you to wait for another week or month or even year? Will anything change for them if they wait? Are you able to take that responsibility? Imagine a client is right in front of you stating, they need your help. Their business is drowning and they might need to close shop within a few months. They heard that business coaching might help and are there to listen to you. The customer leaves and 4 months down the line their business closes. Who's fault is it in your opinion? The client because he didn't get back to you? Or is it your fault for not following up and pushing the client at the right time to close the deal and finally taking matters into their own hands? I'm not trying to put any blame or for you to feel bad about coaching. 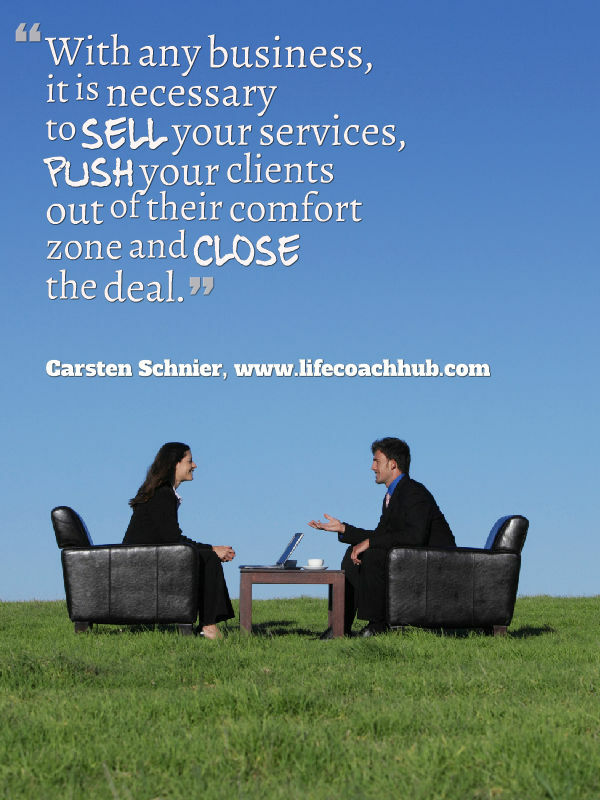 However, with any business, it is necessary to sell your services, push your clients out of their comfort zone and close the deal. Asking the right questions is important, but not asking the questions and just letting them go off on their way is simply wrong and won't do you any good, nor will it benefit your customer. As coaches, we help people become more confident in their approach about what they do and how they can achieve their goals. Unfortunately, many of us coaches simply lack the sales side of the business. If you can't sell, how do you intend to make money? How do you intend to get in front of decision makers? And as expert coaches, how can you justify telling your business clients not to sell? These are just my thoughts on the topic, but I would be very interested to hear yours and the experience you've had with selling your coaching services. Thank you and should you have any questions, please feel free to contact me.